You are at:Home»Aquarium Livestock»Amphipods a Possible Aquarium Pest? Amphipods a Possible Aquarium Pest? 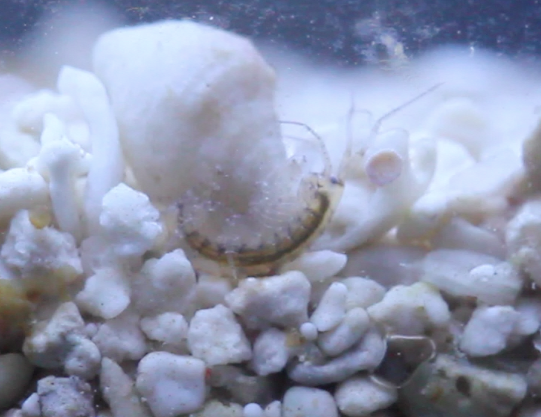 While most aquarium keepers welcome amphipods and other marine crustaceans into their aquarium with open arms, often seeking them out to feed specific fish or to beef up the cleanup crew, sometimes these invertebrates can become quite the nuisance. In aquariums with very few fish or sand sifting creatures, invertebrate populations can explode at astronomical rates, especially if algae-fueling nutrients are present. The excess nitrates and phosphates fuel algae growth, and the new algae will serve as both food and protection for the usually beneficial inverts. Not to mention, “pods” will use the algae as a breeding ground, further adding to their presence in the aquarium. As their populations grow, and if left unchecked, the crustaceans can start feeding on things we don’t expect, such as corals and clams. This notion may seem a bit wild to most of you, and it’s something I’ve never experienced first hand until now. As I was staring into one of my aquariums the other day, I noticed one of the Tridacna derasa clams was laying on its side. This individual has a tendency of moving around the tank and laying down every few days, usually righting itself shortly after finding a temporary place that suits its needs. With this in mind, I thought nothing unusual of the behavior and stepped away from the tank for a short time. Upon returning, the clam was upright once again, but the mantle looked a little different. It looked pinched with a little mucus coming off the tissue, as if it was showing signs of the dreaded Pinched Mantle Syndrome, so I immediately began contemplating my next move. Seeing as how the misshapen mantle was on the same side the clam was laying on, I tried to convince myself that it was just irritated and therefore retracted. Wanting to be patient and confirm my suspicions rather than knee-jerk react, I waited a few days to see if the clam would get better on its own. Of course, the clam’s status didn’t change, that is until I happened to spot the unusual behavior of a rather large amphipod after the lights went out. While testing some sweet new LED equipment sent to us by Current USA, I decided to toss the lights over the frag tank and see how everything looked. The main lights had already shut off prior to the testing, so when I blasted the tank with the bright light everything scurried away like cockroaches. Before the amphipods all got away though, I noticed one very large individual sitting on the same spot on the clam that appeared pinched. The pod appeared to be eating on the flesh of the mantle, which was mostly retracted at the time. Somewhat shocked by the behavior, I felt some relief because at that point I knew it wasn’t Pinched Mantle. The notion was confirmed the following day when another pod was seen irritating a neighboring clam, which now also shows the tell-tale signs of mantle munching. 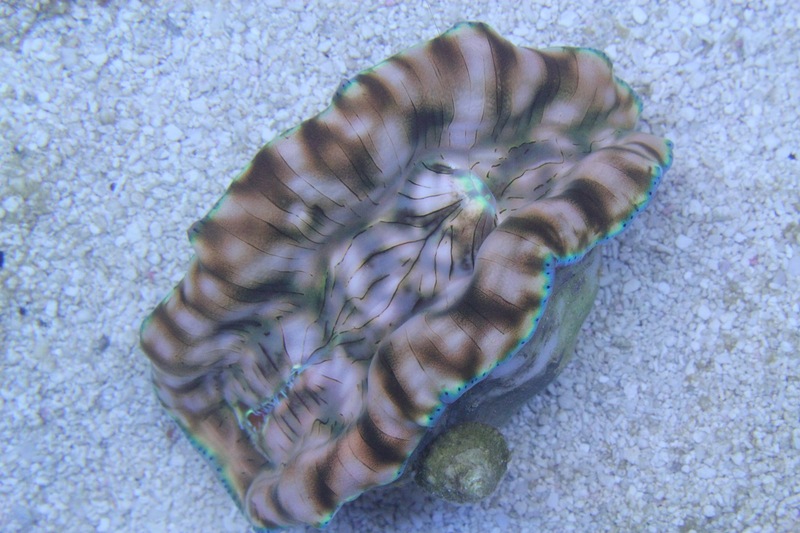 Fortunately, the cause of this clam malady is simple…purchase a fish that is a known amphipod eater. The list of candidates is rather long, so my options are wide open. We’ll probably settle on some type of wrasse to solve the problem, and we’ll be sure to report if anything changes with either of the clams.